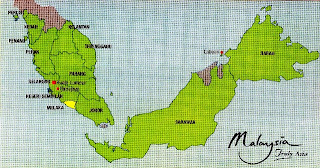 Melaka is known for its history rich in cultural, at one time it was ruled by the Portuguese, Dutch and the British. Over here there are plenty of places to visit and things to do and with the rich multi-cultural heritage it is reflected in their unique customs and traditions. Melaka has many hotels from 5 stars to budget accommodations including bed and breakfast inns. The following 5 places of interest in Melaka City are within walking distance so put on your comfortable walking shoes. The Porta de Santiago is one of the four main gates of the A Famosa fortress, and is the best evidence of Portuguese occupation hundreds of years ago. Located at the foot of St. Paul's Hill, it was built by the Portuguese in 1512 under the command of Alfonso de Albuquerque. This prominent landmark is almost synonymous with Melaka and appears in major travel magazines. The Stadthuys was built in 1650 as the official residence of Dutch Governors and their officers. Stadthuys remained the center of Dutch Administration until 1824, when the British took control of the town and became a civic center. In 1979 used as a State Governing Center by the Malaysian government Since then, the building has been converted into the Ethnography Museum. Although the interior is now filled with museum exhibits, it is still possible to view much of the interior with its thick masonry walls and heavy wooden beams. They are many trishaws here complete with rider and tour guide all in one that can be rented either half hour or one hour depending on where and what you want to see. I have been visiting Melaka many times until I brought my family for a memorable ride and our rickshaw rider was very entertaining and informative. Situated adjacent to the Stadthuys and brightly painted red contains features which include handmade pews, ceiling beams (constructed without joints), brass bible, tombstone a nd "The Last Supper" in glazed tiles. This church was originally a small chapel built by a Portuguese Captain called Duarto Coelho in 1521 A.D. and called "Nosa Senhora - Our Lady of the Hill". The chapel was handed over to the "Society of Jesus" in 1548 and enlarged in 1556 with the addition of a second storey and renamed "Annunciation". A tower was added in 1590. When the Dutch took over Melaka from the Portuguese, they changed its name to St. Paul's Church and used it for 112 years until they build their own church, the Christ Church was completed in 1753. St. Paul's Church lost its tower when the British took over but had one new feature added to it - the lighthouse at the front. The British however did not use the church for worship, but used it instead for the storage of gunpowder. 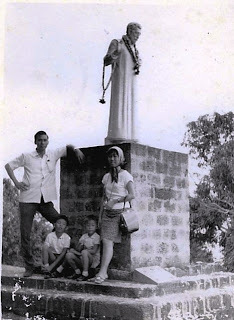 They also erected a tall flagpole and renamed the hill on which the church is sited to Flagstaff Hill (Bukit Bendera). The name however did not last. The flagpole was later taken down and Church abandoned. Old tombstones found inside the ruins bear silent testimony to the final resting place of several Dutch and Portuguese nationals. The renowned Spanish-born Jesuit missionary, St. Francis Xavier was a regular visitor to this church from 1545 to 1552 and when he died his body was interred here for nine months before being exhumed and taken to his final resting place in Goa, India. A statue of St. Francis was built in 1952 to commemorate his passing and internment here. The St. Paul's Church ruins were gazetted as an old monument and historical site under the Antiquities act on 12th May 1972. And with the arrival of a Chinese Princess Hang Li Po from the the Ming dynasty to marry the Sultan. Hang Li Po's Well was built by the Princess Hang Li Po's followers and was the only source of water during great droughts but today it enjoys a reputation as a wishing well where anyone who throw a coin into the well will returned to Melaka again. 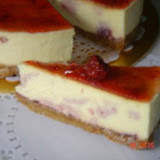 There are many other places of interest that if you do have the time, energy and enthusiasm try the following. Bukit Cina. As the name implies, 'Chinese Hill' was the official settlement of the entourage that arrived with the Chinese Princess Hang Li Po. She was sent to Melaka by the Ming Emperor to marry the Sultan, marking the advent of diplomatic relations between Melaka and China. Hang Tuah's Mausoleum. This famous Malay warrior served as the admiral of Melaka's naval forces and defended successfully countless attacks against Melaka. The outstanding military exploits of Hang Tuah and his four comrades, mad him a legend in the history of Melaka. Baba and Nyonya Heritage Museum. This museum was the ancestral home of three generations of a Baba-Nyonya (descendants of the Chinese who arrived in Melaka and married locals) family. An open-air courtyard is situated in the middle of the house. Furniture is made of Chinese rosewood in a mixture of Chinese, Victorian and Dutch designs. Maritime Museum. This unique museum is housed in a replica of the Flor de la Mar, a Portuguese vessel that sank off the Melaka coast. Inside the museum are models of ships, authentic maps, old iron chests and charts. Melaka Sultanate Palace (Cultural Museum). At the foot of St. Paul's Hill, lies the wooden replica of a 15th century Malay palace. The building has been turned into a cultural museum with main exhibits relating to Melaka culture. Portuguese Square. 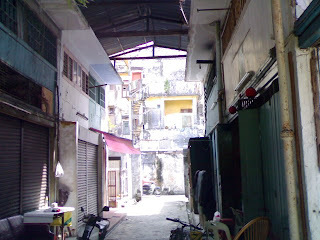 The Portuguese Square is located within the Portuguese settlement, 3 km from the city. Built in the late 1980's, the square is inspired by the Portuguese Mercado. It is the venue for local cultural shows performed every Saturday evening. The photo on the right are my parents Low Chee Tian & Kam Ah Heong, on the left, squatting is Thomas Low (my brother) and squatting on the right that's me (Flipper) taken 40 years ago. The photo on the left, my mother with the gray hair (Kam Ah Heong). Traditional Melaka House. 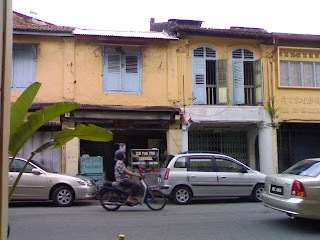 A typical traditional Melaka house stands on 12 to 16 main pillars, usually tow metres high. The decorative flower-motif tiled steps are its most striking feature. Traditional Melaka houses can still be seen in rural communities with the most famous located in Bukit Paloh. One of most popular local ice shave sweet desert which is the 'cendol' which can be found in most shop is a delight to have after all the sightseeing and walking.